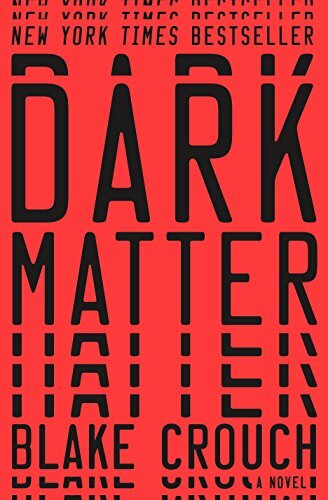 After concluding his genre-bending Wayward Pines trilogy with 2014’s The Last Town, Blake Crouch has churned out a standalone novel that is every bit as inventive, thought-provoking, and suspenseful in Dark Matter. Jason Dessen is a professor living a happy life in Chicago with his beautiful wife Daniela and his teenaged son Charlie. One night, he goes out to visit an old college friend of his named Ryan, a celebrated physicist; on the way back home, Jason is abducted and forced to drive to an isolated warehouse at gunpoint by a mysterious man wearing a geisha mask. Jason is forced to strip, given some kind of strange drug, and passes out. And when he wakes up . . .
. . . he’s in a laboratory, being attended by people who seem to know him, but whom he’s never seen before, including a man named Dr. Leighton, who claims to be a good friend of his. They aren’t mistaken about who he is, but he seems to be known for a wholly different life . . . including being a celebrated physicist. After a narrow escape from the laboratory, Jason makes his way back to his house, only to find that it is very different than the one he’d left earlier that evening—and with no sign that Daniela or Charlie have ever lived there, or even been a part of his life. Indeed, Jason has wound up in a whole other world, one almost exactly the same as his own, yet very, very different. This is all only dipping into the highest point of the veritable rabbit-hole that is the plot. Very quickly, Dark Matter goes far deeper; for every time it seems to be unfolding in a familiar direction, it takes a sharp detour down a wholly unexpected path. There are some truly surreal and even downright shocking scenes in this book, not a few of which involve Jason’s growing comprehension—and utilization—of the situation he’s been thrown into. This novel swiftly unfolds with all the suspense and strength of a more straightforward thriller, shifting directions with jarring (but comprehensive) aplomb, building up to a deliciously surreal climax that leaves the outcome nearly impossible to guess. A mind-bending odyssey of parallel worlds and causality, Dark Matter will particularly appeal to fans of the TV series Fringe and H. G. Wells’ The Time Machine. Although a certain degree of suspension of disbelief is necessary, the tale is involving and tightly paced, with memorable and well-rounded characters adding a big, beating heart to the tale. The only question left at the end of this book is, what clever, inventive, and suspenseful tale will Blake Crouch tell next?